The Keystone XL Pipeline dispute is one of the hottest political issues for the President Obama. Backers claim that it will provide jobs and detractors claim it’s an disaster waiting to happen. The dispute has torn apart the Democratic Party, with unions calling for the jobs and environmentalists working feverishly to stop the pipeline. Both of these claims are rooted in facts, but both are overblown. Rather than make a decision on the pipeline, however the administration has delayed the pipeline yet again, probably until after the November 2014 midterm election. This upset nearly everyone. But in terms of what is actually needed, this is probably the best thing to happen. The reason for this lies deep in Canadian oil and politics, quite apart from whatever we have going on in the US. The Keystone XL pipeline is an addition to the Keystone network of pipelines, already under construction or operating, that bring oil from Alberta to the heart of US refineries located in Texas and Louisiana. In order to understand what is unique about it, we have to start with the various grades of oil and their relative value. It’s an ugly business, but we all use the stuff. Crude oil can be classed as “light” or “heavy” based on how thick it is. Light Crude is cheaper and easier to transport and refine, and so is worth more. Crude also comes in “sweet” and “sour”, based on how much sulfur is contained in the oil, a by-product of how the oil was laid down millions of years ago. This sulfur has to be removed to keep it out of the air as acid rain and to prevent it from destroying catalytic converters in cars, so again Sweet Crude is worth more. 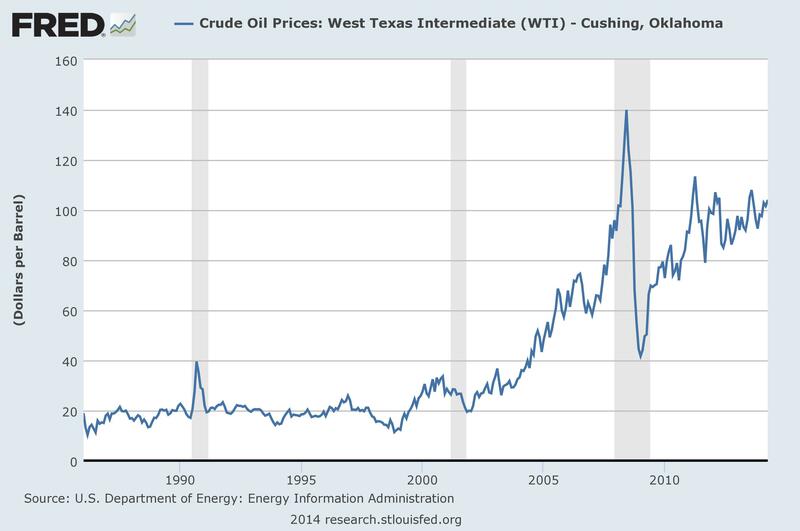 In the middle of all ranges is West Texas Intermediate (WTI), which stands as the benchmark for oil grades. After many years of running about $20 per barrel (42 gallon) it started climbing in 2000 as world demand for oil increased, and now stands around $100 per barrel. North Sea Brent oil, light and sweet, is about 10% more. Venezuelan oil, heavy and sweet, is about 10% less. Oil from the tar sands of Alberta is both very heavy and sour, and worth about 20% less. That’s just above the break-even price of $75 per barrel that this nasty sludge costs to remove from the tar – although in recent years some claim that cost has fallen now that they have some experience with it. Though the stuff is easy to obtain, residing on or near the surface, no one wanted to touch it until WTI hit $100. 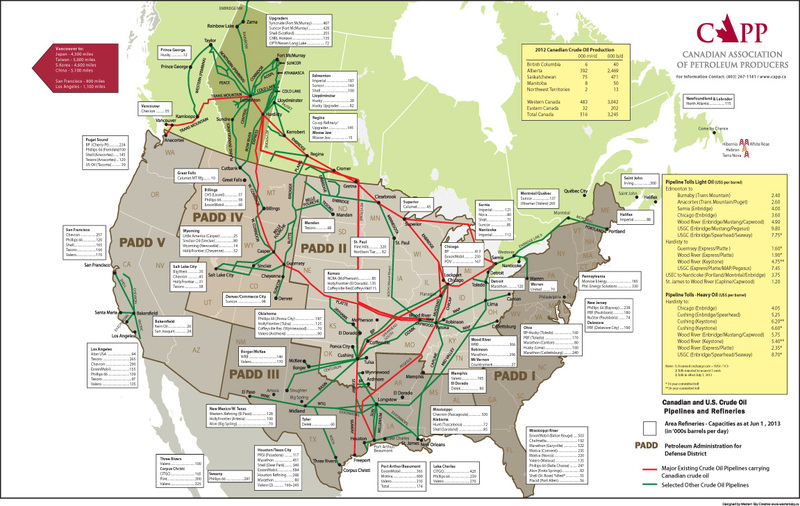 That takes us to the odyssey of pipelines in Canada, which are show in the map below. Note that for all the oil in Alberta, there are very few pipelines across Canada to take it anywhere. Most of it flows south, into the US, where pipelines are easier to build. Canadian provinces have fairly unilateral veto power over pipelines, meaning that in the 40 years of Alberta oil almost no infrastructure to handle it has been built. Canada’s dirty little secret is that about 10% of their GDP comes from stripping commodities out of the ground and shipping them across the border without adding any value to it with good Canadian jobs – something like an undeveloped nation. In 2006 Alberta oil officials proposed building the Northern Gateway pipeline to a terminal in British Columbia to move the heavy tar sands out by tanker to Asia. It was clearly going nowhere, bogged down by opposition in the environmental review process. They quickly pivoted in 2008 to “Plan B” – build a pipeline all the way across the US to export the tar sands through a terminal in Louisiana. 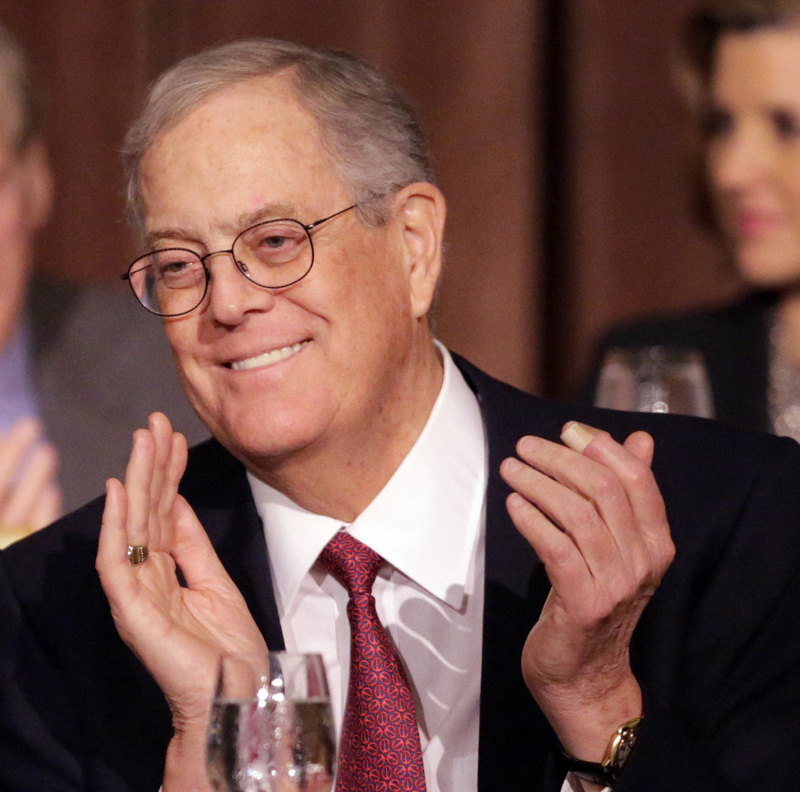 When David Koch is happy, the left isn’t. That may sound crazy, but it beats dealing with another province. It helps that the largest interest in Alberta tar sands is owned by the Koch Brothers, the US barons of oil (their dad, Fred Koch, invented the modern refining process) and contributors to all things right-wing. Approval of this pipeline, an extension to the Keystone network called Keystone XL, seemed like a snap. Then Obama was elected, and the whole thing fell to Democratic, not Republican politics. The current firestorm erupted and everything bogged down. Keystone XL is going nowhere. In late 2012, Alberta decided to start seriously looking into “Plan C” – a pipeline to eastern Canada at a cost of $12B. A series of events have made this look like more than just an alternative. The first was the terrible explosion of a train carrying oil from North Dakota’s Baken fields that leveled the town of Lac-Mégantic, Quebec, killing 47 people, in July 2013. With no pipelines to move oil, Canada relies heavily on rail cars to ship it east – at great expense. While the safety record of this method is being debated it clearly demands more handling. The rapid expansion of the Baken field, where the US is behind in pipeline infrastructure, has skyrocketed the amount of crude transported by railroad from 9,500 in 2008 to 407,642 in 2013 – a 40X increase that is clearly taxing the capabilities of the system. Lac-Mégantic and other disasters have shown this is not the way to go and support for the Energy East Pipeline has grown. The search for alternatives to Russian oil for Europe also entered the discussion at the start of 2014, and Canada is eager to become a net exporter to Europe – reversing its use of North Sea Brent Oil on the east coast. The Energy East pipeline is now a matter of national security as well as safety. You may want to hum “Oh Canada” to yourself as you read up on the arguments for it. Alberta has pipelines everywhere, but few cross provincial lines. Rarely mentioned in any of these articles is the obvious idea that the nasty tar sands can be partially refined in Alberta to produce a light, sweet crude product that is more palatable for transport and final refining. That’s being considered as well, and will likely be necessary to get the approval of so many provincial governments if the Energy East pipeline is finally built. Keystone XL was always a somewhat twisted “Plan B” to continue to get around Canadian politics. Stalling the project as long as we have produced two very important developments that are starting to look like a genius master. Canada will finally start building the oil infrastructure it needs to handle its own oil, and will clean it up before sending it out of Alberta. The plan is good for Canada and for Europe. And even British Columbia may be willing to build the Northern Gateway pipeline to the west. It means that there will be no US jobs building the new pipeline, but there will also be no heavy, sour tar being crammed through the US with remarkably little benefit to us after the pipeline is built. We’ll have access to the partially refined oil through the existing Keystone network, so we don’t really lose out much. The contentious issue of Keystone XL is one of those rare issues that actually goes away the longer it’s stalled with no decision. In many ways, it was an issue meant for the Obama administration all along. This piece deliberately punts on the US debate over Keystone, which you can read about in many places. This point of view, while rare in the media, is backed up by the links. Please follow them if you have any questions. This entry was posted in Money, Nooze and tagged Alberta, Energy East Pipeline, energy independence, Keystone XL Pipeline, Northern Gateway Pipeline, oil, pipelines. Bookmark the permalink. This is crazy. They can’t build a pipeline so they route it through the U.S.? I never heard this argument against Keystone but that is plain crazy. Yes, that is the conclusion I came to as well. Missing from this article is any mention of the enormous ecological damage resulting from extracting and processing the tar sands themselves before they ever get to a ;pipeline. Yes, and deliberately so. You can read about these problems in many articles and I think that they are worth a read. But I have come to see this as a Canadian problem and I think that we have to trust Canada to appropriately regulate it. They are seeking cleaner ways of doing it. Whether or not that is possible, or the extraction has to stop, is up to them in my opinion. I see plenty of reasons to oppose the Keystone XL pipeline based on US interests first, so I am going to go with that. Canada’s rather heavy reliance on exports of commodities should trouble them for a lot of reasons, and I wish them the best as they figure this out. The pipeline would also transport oil from Montana and South Dakota. I will have to do my own research but if the quantified benefits outweigh the potential harm, I will support the pipeline. It will be interesting to see the numbers. Transporting oil is a legitimate business, but I would want to see what the downsides are. For me it would be an issue of multi-region economic development. Yes, Keystone XL also goes through Baken – which desperately needs a pipeline. It may need two, one for liquids and one for gas that is currently being flared. The more I think about this, the more it’s all about Canada dumping their junk on the US because our standards are so much slacker than theirs. It’s really embarrassing. By stalling, we’re going to get them to up their infrastructure and clean the stuff up, it seems. Ontario and Quebec are likely to demand it be partially refined to be as clean as WTI, roughly. If that’s the deal Ontario gets, we should get it, too. It’s a pretty good sounding standard, frankly. And that wouldn’t have come to pass without stalling. If we do get that I will support this pipeline especially because it hooks up Baken. But it’s even cooler with a pipeline to eastern Canada. But how does an Eastern Canada pipeline help increase the oil supply to the US? 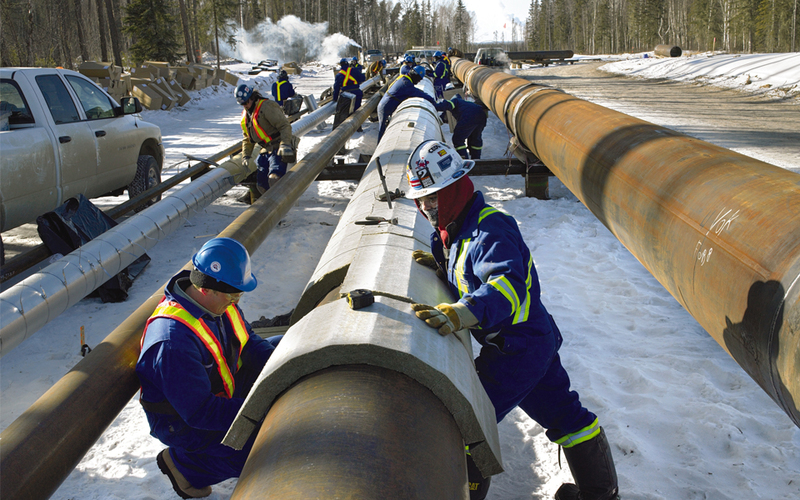 A recent report by Energy Defence of Canada, an environmental group, showed that the capacity of the pipeline exceeds Canada’s needs and therefor most of what will be shipped will be for export. Much of that is expected to go to the US East Coast, which is relies heavily on North Sea Brent Oil. That’s why gasoline is more expensive in the Northeast. However, there are other fields off Newfoundland such as Hebron and Bay du Nord that will come on line with cleaner crude that is also expected to be exported to the US, so it’s not clear just where the tar sands stuff will go. But more oil on our east coast is a good thing. As of this January, the US produces 11.7M bbl per day and imports 9.5M bbl/day. Of those imports, 2.7M come from Canada and 1.1M from Mexico, meaning that of the 21.2M bbl we consume 12.3M are North American, or a bit under 60% of it. New Canadian pipelines and oil fields are expected to add about 1M from Canada, meaning we’ll be around 2/3 of our oil from North America. That’s pretty amazing. I thought the UK is a net importer and no longer exports oil. And Canada is right now getting oil for its east coast mainly from the US. The long and short of it is that there is no good supply right now on the east coast, for both Canada and the US. The pipelines we have are also inadequate, and most of the oil (or gasoline) arrives by tanker. It looks like we have our own work to do, too. But there’s no doubt in my mind that a pipeline to the east coast, in Canada and/or the US, is highly desirable. I’m going to have to do a lot more research – things have changed a lot recently. Also Mexico may be increasing their oil industry capital investment. Make themselves more modern as per United States engineers and financiers. In Venuezuela I was under the impression they liked socialism. The unrest their seems to convey dissatisfied elements of society. Maybe they will convert themselves to being pro_US one of these days. I do believe that North American oil is a good working definition of “energy independence”. As for Venezuela, it’s just not working for them and they’ll have to modify it. I tried to address that problem in the next post. Almost any take on such a complex subject has to be an over-simplification. But somehow everything important seems left out of this post and subsequent discussion. What difference does it really make whether the tar sands oil is partially refined in Alberta before being shipped elsewhere? Do you really think “more oil” is the answer to everything? I am sure there are plenty of hydrocarbons still in the ground, but I am also sure that the atmosphere cannot accept the emissions of burning them without catastrophic climate impacts. Just because the Koch Bros, Exxon_Mobile, etc, have made this underlying reality comfortable (for the moment) to ignore, doesn’t make the problem go away….any discussion that ignores this is bogus. Something has to be left out of this unless you are writing a book. As for “more oil”, I’m coming at this from energy independence as a first goal. I think that North American oil is the first step and probably the only one that is important for that. Beyond that, yes, we have to conserve and develop renewable sources – but that is going to take time. My vision of a grand compromise is to build up the pipeline infrastructure we need to move the new sources of oil (Athabasca tar and Baken). I think there should be some standard that insists that oil moved is “refinery ready” and roughly WIT grade for safety and cleanliness. For that, we have a deal more like the Alaska Pipeline that is owned by the government and charges a healthy rate for using it. We invest that money in alternative energy sources and conservation. I’d also like to move us to a methane / natural gas based economy rather than oil because it’s not only cleaner but will point to a simple renewable source (digester gas) that I’ve written about before. But I’m still thinking about this some and looking at what has been proposed. As you can see in the above comments I missed how our supply of North Sea oil has diminished (in my defense, the oil used on the East Coast is still called “Brent” because of its grade and price, which is why I was confused). So, yes, this is incomplete. But I do think what we have in front of us is primarily a Canadian problem that they have to solve on their own. Their solution for the last 40 years has been primarily to just send the junk south and let the US deal with it. That’s not good for anyone. Good blog but I also agree that there is a lot missing here. This isn’t just a Canadian problem because the demand for that oil comes from us. That has to be in the equation somewhere. I think I answered that above. 🙂 Yes, let’s talk about that in the comments. I wasn’t ready to think that through when I wrote this piece. There is a lot more on that topic and it is very complex. Eric, you have gotten very good at summarizing complex issues. I learned some important things from your post. But I see a fundamental problem in the attitude you project that someday, in some mythical future, we will focus on conservation and so on, but for now we need to drill, pump, refine, ship, and burn hydrocarbons as fast as we can. In the name of “energy independence?” US policymakers have never paid serious attention to “energy independence” as it conflicts with the business plans of the oil and gas people. As arrogant, uninformed, and sanctimonius as the energy wonk/enviro folk often are, they are right about this fundamental truth: We need to be focusing on leaving the fossil carbon in the ground, not on how to extract it faster. We need to be moving towards a solar/electric economy. This is a reality that is gradually dawning even on the uneducated public. Canada is loaded with natural resources and very thinly populated. Population density 9.3/sq mi. according to Stat Canada. So extraction and export of natural resources has always been a huge part of the economy. But Canada is going through the political nightmare of a rightist nut case Federal leader. So we can only be glad, right now, that Canada is a federation with strong provincial governments able to limit the damage, including pipeline building. I will think about this some more. I don’t disagree that we need to move towards renewables, and I’ve written about that in the past. But – and this is the big one – I haven’t found anyone who has written about a good path to getting us there without a lot of upheaval. Maybe we have to have a lot of turmoil, but I’d like to think this through. I guess I owe that much to you all after this post. Let me see what I can find. As for provincial power in Canada, I am starting to think they do have it right. I have long favored more state power in the US, and I think that nearly all states are pretty well run. Seeing how that works in a very similar nation is interesting. I’ll be interested in what you come up with. I need to say though, that I am in no way advocating “renewables.” This toxic term includes many fuels, such as garbage, crop residues, and wood, that are far more harmful than coal, let alone oil or gas. Governments, and for that matter enviros, have great difficulty distinguishing clean from dirty energy sources. Thus, Ontario is boasting about shutting down its last coal unit–a good think in itself–but building wood and garbage burners…. 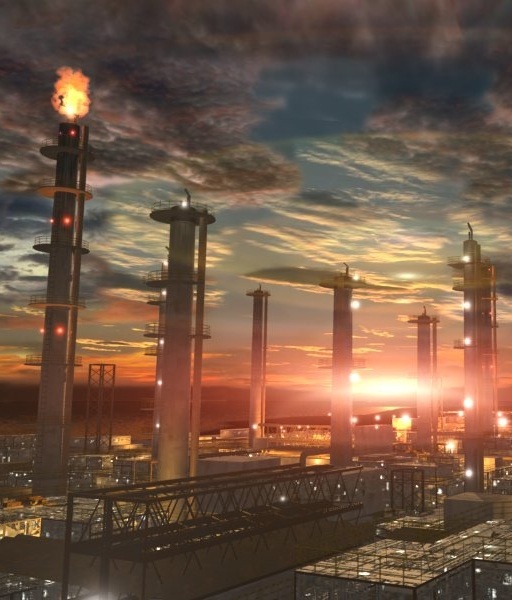 I do not know how we can get to sensible energy policies when politics–meaning, really, the clout of different industrial sectors–seems to determine policy…..